High blood pressure—also called hypertension—is one of the most common risk factors of heart disease. When it comes to diet, there are many vegetables that lower blood pressure, and therefore help prevent hypertension. Approximately one in three American adults suffer from high blood pressure. While risk factors such as age and family history cannot be managed, you can manage your food intake. Choosing fresh produce packed with essential vitamins and minerals can directly impact your blood pressure in the process. Research suggests a common link between vegetables and blood pressure reduction. The DASH (Dietary Approaches to Stop Hypertension) diet and the Mediterranean diet are two of the most studied diets to prevent and control high blood pressure. These diets contain foods with key nutrients for healthy blood pressure, including fiber-rich vegetables, magnesium-rich vegetables, and potassium-rich vegetables. This article will feature many of these incredibly healthy vegetables that lower blood pressure. Is Eating Raw Veggies Best for Blood Pressure? Which Vegetables Are Good to Lower Blood Pressure? Although many people with high blood pressure do incredibly well on a diet high in vegetables, some studies have analyzed cooked vegetables vs. raw vegetables in relation to lowering blood pressure. In one study published in the Journal of Human Hypertension in 2013 (1), researchers from Imperial College in London would follow about 2,200 people from the U.S. for a three-week period. The results found that raw vegetables were linked to a lower overall blood pressure. Among the commonly consumed raw vegetables were green leafy vegetables, carrots, tomatoes, and scallions. The common cooked vegetables in the study included tomatoes, scallions, peas, and celery. The researchers did not include cooked white potatoes and sweet potatoes, since both vegetables have a high starch content. It is also important to note that cooking may reduce the antioxidant content of vegetables. This includes vitamin C, polyphenols, and glucosinolate. When you do cook vegetables, steaming or blanching them will maintain most of the nutrients, rather than boiling them in water. Interestingly, the absorption of antioxidants like carotenoids improves when you cook certain vegetables like tomatoes. What vegetables are good for lowering blood pressure? What about foods that lower blood pressure during pregnancy? There are a multitude of vegetables that lower blood pressure. Read on to discover more about what vegetables may be included on a healthy blood pressure diet. Although some may discard them, beet greens are great for health, and they are among the vegetables that lower blood pressure. The potassium and magnesium in beet greens are two key nutrients known to lower blood pressure. Yams may look like sweet potatoes, but they are a different tuber vegetable altogether. Sweet potato (Ipomoea batatas) belongs to the morning glory family (Convolvulaceae), whereas yams are part of the Dioscoreaceae family. The high amounts of fiber and complex carbohydrates in yams help give you energy, and reduce blood pressure. The potassium in yams is also important for muscular function and blood pressure regulation. Arugula (Eruca sativa) is a vegetable that is part of the Brassica family. It is an antioxidant-rich vegetable that reportedly boosts immunity, reduces heart disease, and improves blood pressure. The magnesium, potassium, and fiber in arugula help control heart rhythms and regulate blood pressure by improving the health of blood vessels. Arugula is a good vegetable for salad or omelets. Spinach (Spinacia oleracea) is often considered one of the healthiest foods on the planet, and it is part of the Chenopodiaceae family. It contains special protective carotenoid compounds like lutein, zeaxanthin, and beta-carotene, which have been associated with reducing heart disease and blood pressure. Spinach shares a similar bitter profile as beet greens, and a salty flavor like chard. Research shows that spinach can protect the heart by improving nitric acid function. In turn, this improves blood pressure, blood vessel health, and circulation. Swiss chard (Beta vulgaris) is a green leafy vegetable with impressive antioxidant content, including carotenoids like zeaxanthin, lutein, and beta-carotene. The antioxidants in Swiss chard benefit heart health by reducing inflammation that can worsen high blood pressure. Swiss chard is an anti-hypertensive vegetable that is crucial for blood vessel health, since it contains minerals such as potassium, magnesium, and calcium. Potatoes (Solanum tuberosum) are a tuber vegetable from the nightshade family, and they are believed to have originated in the Andean mountain region of South America. They are a good source of blood pressure-regulating potassium, magnesium, and fiber. Bamboo shoots, or bamboo sprouts, are the edible shoots of bamboo species like Phyllostachys edulis and Bambusa vulgaris. They are often found in broths and a number of Asian-inspired dishes. Ethnic tribes of Northeast India once used bamboo shoots to control hypertension and other cardiovascular events. Kale is another cruciferous vegetable and member of the Brassica family, which also includes arugula, bok choy, and mustard greens. 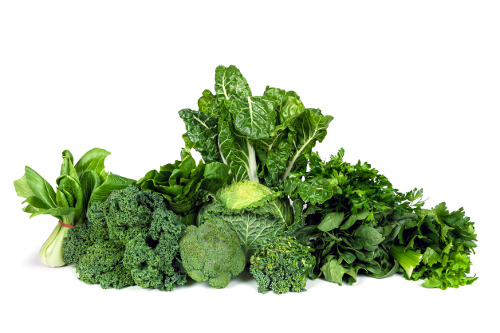 The antioxidants in kale, like the flavonoids kaempferol and quercetin (4), have powerful cardio-protective, anti-inflammatory, and blood pressure-lowering effects. The potassium, magnesium, and fiber in kale also help reduce blood pressure. The globe artichoke (Cynara cardunculus) could prevent a number of serious conditions, especially heart disease and high blood pressure. Fennel (Foeniculum vulgare) is a vegetable in the carrot family, or Apiaceae. As a good source of fiber and potassium, fennel may help lower blood pressure. The pumpkin is more than just a Thanksgiving pie filling or a Halloween decoration. It is also full of blood pressure-lowering antioxidants and potassium. Watercress (Nasturtium officinale) is another cruciferous vegetable from the Brassica family on this list of vegetables that lower blood pressure. It contains blood pressure-lowering minerals like potassium, magnesium, and calcium. Beetroot (Beta vulgaris) is another vegetable that is a good source of blood pressure-lowering potassium and fiber. The choline and betaine in beets have also been shown to regulate inflammation in the cardiovascular system, which helps reduce high blood pressure. The carrot (Daucus carota) is a root vegetable that is often orange, but can also be found as red, black, purple, yellow, and white. Carrots can be cooked or eaten raw in salads. They are also a good source of blood pressure-lowering magnesium, potassium, fiber, and antioxidants. Broccoli is another Brassica vegetable loaded with blood pressure-lowering magnesium, potassium, calcium, and fiber. The compound lutein in broccoli can also prevent the thickening of the arteries. The vitamin C, vitamin K, omega-3 fatty acids, and various antioxidants help prevent plaque build-up in the blood vessels and arteries, which reduces the likelihood of high blood pressure. Okra (Abelmoschus esculentus) is a nightshade vegetable and pod vegetable often eaten in the Deep South of the U.S. It is also called gumbo and lady’s fingers, and it belongs to the same plant family as cotton and hibiscus. The calcium, potassium, magnesium, and fiber in okra help with blood pressure reduction. Celery (Apium graveolens) is a vegetable from the Apiaceae plant family filled with blood pressure-lowering nutrients like potassium, calcium, fiber, and antioxidants. Research shows that celery seed extract can help control chronic high blood pressure. The celery seeds contain methanolic, hexanic, and aqueous-ethanolic extracts that reduce inflammation, improve circulation, and regulate blood pressure. Mustard greens (Brassica juncea) are another leafy green Brassica vegetable. They have a very distinct, rich, and peppery flavor. Mustard greens contain blood pressure-lowering potassium, calcium, magnesium, and fiber. It is also important to note that the health-promoting ability of mustard greens improves significantly when steamed. Bok choy, or pak choi, is a kind of Chinese cabbage that is part of the powerful cruciferous vegetable group in the Brassica family. It is a good source of blood pressure-lowering nutrients such as potassium, calcium, magnesium, and fiber. The folate and vitamin B6 in bok choy also prevent the accumulation of homocysteine, which can lead to heart problems and blood vessel damage. There you have it! We just detailed 20 delicious vegetables that lower blood pressure. However, that list is only a sample of foods included in a healthy blood pressure diet. Additional foods include other potassium- and magnesium-rich foods like bananas, sunflower seeds, and melon. You can also benefit greatly from other nutritional powerhouses like garlic, coriander, olive oil, dark chocolate, tomatoes, beans, legumes, and pomegranate juice. As a cautionary note, there are certain foods that are best to avoid if you have high blood pressure. Be sure to stay clear of too much alcohol, caffeine, sugar, and omega-6 fats and trans fats. Chan, Q., et al., “Relation of raw and cooked vegetable consumption to blood pressure: the INTERMAP Study,” Journal of Human Hypertension, June 2014; 28(6): 353-359; doi: 10.1038/jhh.2013.115. “Beet greens,” the world’s healthiest foods; http://whfoods.org/genpage.php?tname=foodspice&dbid=151, last accessed Jan. 2, 2018. Mateljan, G., The World’s Healthiest Foods: Essential Guide for the healthiest way of eating (Seattle: George Mateljan Foundation), 292-296. Nongdam, P., et al., “The Nutritional Facts of Bamboo Shoots and Their Usage as Important Traditional Foods of Northeast India,” International Scholarly Research Notices, July 2014; 2014: 679073; doi: 10.1155/2014/679073. Larson, A.J., et al., “Therapeutic Potential of Quercetin to Decrease Blood Pressure: Review of Efficacy and Mechanisms,” Advances in Nutrition, Jan. 2012, 3(1): 39-46, doi: 10.3945/an.111.001271. Roghani-Dehkordi, F., et al., “Artichoke leaf juice contains antihypertensive effect in patients with mild hypertension,” Journal of Dietary Supplements, 2009; 6(4): 328-341; doi: 10.3109/19390210903280207. Haddy, F.J., et al., “Role of potassium in regulating blood flow and blood pressure,” Regulatory, Integrative and Comparative Physiology, March 2006; 290(3): R546-R552; doi: 10.1152/ajpregu.00491.2005. Udani, J., et al., “The efficacy and safety of a proprietary onion-pumpkin extract (OPtain120) on blood pressure: an open-label study,” Functional Foods in Health and Disease, 2015; 5(6): 224-242; doi: 10.11828.4626. Meamarbashi, A., et al., “Moderate dose of watercress and red radish does not reduce oxygen consumption during graded exhaustive exercise,” Avicenna Journal of Phytomedicine, July to Aug. 2014; 4(4): 267-272, PMCID: PMC4110783. Coles, L.T., et al., “Effect of beetroot juice on lowering blood pressure in free-living, disease-free adults: a randomized, placebo-controlled trial,” Nutrition Journal, Dec. 2012; 11: 106; doi: 10.1186/1475-2891-11-106. Potter, A.S., et al., “Drinking carrot juice increases total antioxidant status and decreases lipid peroxidation in adults,” Nutrition Journal, Sept. 2011; 10: 96, doi: 10.1186/1475-2891-10-96. Wilkes, K., “Study: compound found in broccoli and cauliflower lowers blood pressure,” Oregon Health & Science University, May 28, 2014; http://www.ohsu.edu/blogs/researchnews/2014/05/28/study-compound-found-in-broccoli-and-cauliflower-lowers-blood-pressure/, last accessed Jan. 2, 2018. Moghadam, M.H., et al., “Antihypertensive Effect of Celery Seed on Rat Blood Pressure in Chronic Administration,” Journal of Medicinal Food, June 2013; 16(6): 558-563, doi: 10.1089/jmf.2012.2664.